I wrote this e-book to show you my blueprint and formula using Fiverr and how I make $4000 a month, working only 8 total hours a week. Ive been on Fiverr for over a year, and through gruelling experimentations and trial and error, Ive developed a way to make money on Fiverr with as little as 8 hours of work a week. You’ll see what gigs are in demand and what to sell. You will know how to sell them with minimal skill and effort. Most gigs I recommend don’t require a specific set of skills or talents. My secret ingredient. This one thing blew up my Fiverr literally overnight. This could change the amount of sales you receive on Fiverr really quickly by making one simple but key change. I went from 1-5 orders a day to 20 and more. I went from $500-$1000 a month to $4000 a month and more. 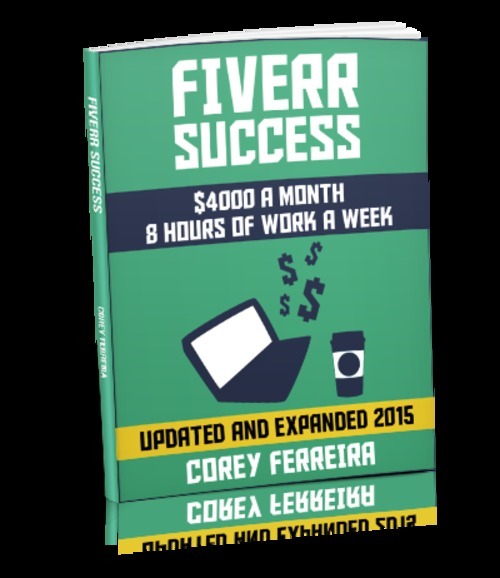 Fiverr is a goldmine and the earning potential on it is virtually unlimited as the site continues to grow and grow. I will show you how to tap into this potential and it’s a lot easier than you think! Not only is it easy, you won’t be required to put in as much work as you might think! This e-book cleanly lays out for you 13 highly in-demand gigs, many of which do not require any special skill or talent, and show how exactly to sell them. I hold your hand and go through everything from the gig title to the description to keywords and even what gig extras work best for each type of gig. I go into every little detail for 7 gigs I recommend selling that take no special skill. A few of these gigs can even be outsourced for cheap and I show you how. Fiverr Success - how I make $4000 a month makemoney;fiverr;autopillot 277737437 7.00 sonicbios Fresh Download Available!